Every week we’ll be highlighting a new game built using Buildbox. These ‘spotlight’ picks are games that have done well on the charts or are new indie releases that feature a cool theme or gameplay concept. Last week’s indie game spotlight was Volkan Kutlubay’s Hoop Shot Basketball. It’s been featured in the Sports category ‘Collections List’ in dozens of countries including the UK, Russia, Japan, Germany, India, and the Netherlands. Hoop Shot Basketball is a basketball arcade game with a bit of a twist. Your goal is to dunk the ball through the hoops. Although simple, it’s much more challenging than you think. In the game, you’ll encounter various columns and obstacles in your way. Players have to tap to guide their ball pass the traps into the hoop. If you collide with an object or miss, it’s game over. In Hoop Shot Basketball, players earn bonus points and coins for a perfect swish. Coins can be used to unlock new colorful basketballs. There are 20 different unlockable balls in total. 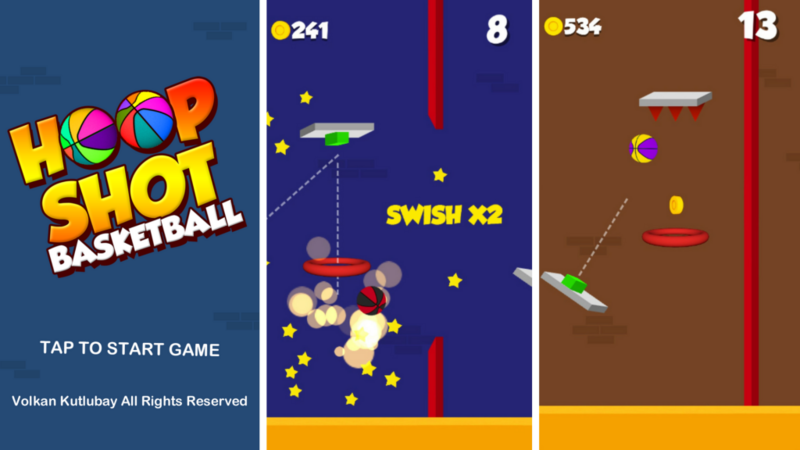 Hoop Shot Basketball allows users to unlock seven color themes to customize the look of their game. Ideal for those die-hard basketball fans out there who like to represent with their favorite team’s colors. The game also features a hip funky soundtrack meant to played with headphones. If you’re a fan of basketball and you enjoy a good challenge, then you’ll love Hoop Shot Basketball. Hoop Shot Basketball is available for download on iOS. Congratulations to Volkan Kutlubay on Hoop Shot Basketball! It’s always great to see the new exciting games that our customers make with Buildbox. Be sure to check out our special Friday game highlight each week to support other game developers and get inspired! sofrendo como louco. Enfim, a liberdade deve estar presente no ordenamento jurídico de um país, para que então, os cidadãos possam ter a oportunidade de exercer outros direitos decorrentes deste preceito constitucional. e mantendo você magra definitivamente. trabalho, navegando na rede vi Projeto Fit 60D e li vários depoimentos que me fizeram ter curiosidade de testar. para voltar, em condições harmônicas, ao convívio social. sem confusão, a melhor maneira para emagrecer de forma saudável. de dietas que não requerem mínimo de disciplina. pouco, isso sem a ajuda de um profissional, como um nutricionista. são, basicamente, estrangeiro” para você, você está se preparando para fracasso. que 90% da abstinência para emagrecer com saude tinha exercício combinado. que é que ocorre em outras dietas.